The restaurant industry is one of the most competitive industries I have ever known. With a measly estimated 2470 head chef positions opening up each year (according to this Culinary Career infographic), aspiring chef's really need to do all in their power to begin to get training under their belt. Even just starting a restaurant has bleak prospects with 59% of start-up restaurants closing after just 3 years. In an effort to give students an opportunity to get their foot in the door, the California Restaurant Association Foundation started multiple educational programs to, in their words, "promote the health and prosperity of the foodservice industry by investing in our youth and our workforce." Personally, I have volunteered for both FIT day and the ProStart Cup, but the one that I get the most satisfaction out of is the ProStart Cup. The ProStart Cup is a high school culinary competition that has two divisions. The first division is the culinary side where groups of 3-6 students team up to create a 3-course meal in exactly one hour. They train and practice for months! The second division of the competition is the hospitality management competition where 2-4 students team up to create a proposal of a new restaurant concept. The winners of each division win a piece of the $2.3 million dollars of scholarship money available. Stakes are high and the competition is fierce! >>Click here if you are interested in donating to the California Restuarant Association Foundation as they make huge strides in our children's future in the culinary industry. It was three years ago now that I began to look into giving back to the community. Sometimes life gets crazy and we just work, work, work... but to find value in that work, it is always enlightening to give back. 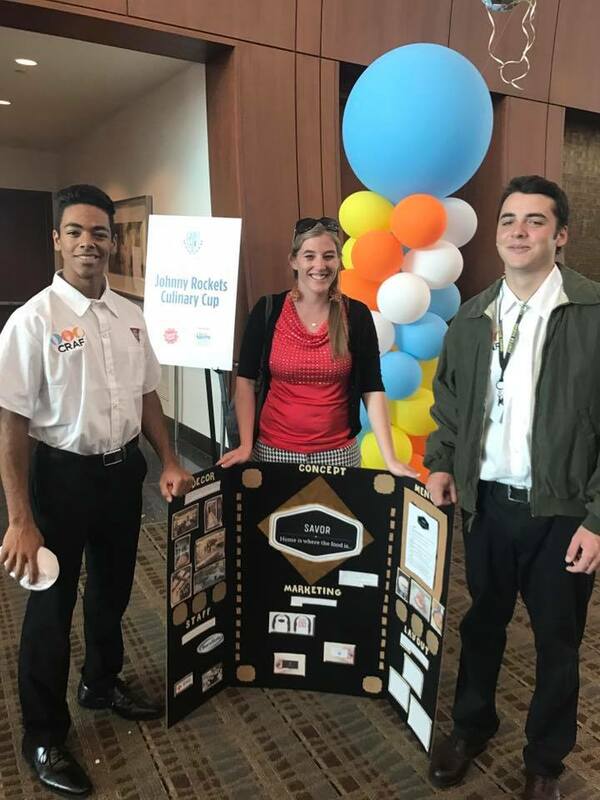 There was a wonderful opportunity through the California Restaurant Association to help mentor a group of ProStart Cup students from Bonita High School. The first year was a little crazy because the timing of when I reached out to the California Restaurant Association was about 2 weeks before the actual competition! So, I did what I could in the weeks before and off they went to Northern California to compete. Now the second year, we started way earlier and I got to mentor the teams a good 6 months before competition. I am lucky to work with Bonita's ProSart Teacher, Ms. Brandler. She came in and has built the program from the ground up, which is no easy feat considering budget constraints and time constraints. She inspires the students and really pushes them to put forth the extra effort. Starting early does not necessarily mean finishing early! Apparently, high school students are the #1 procrastinators in the world! Students have a wonderful imagination and can really bring to life their dreams when they put their minds to it. Getting a group of high school students to agree on things is quite the challenge. Getting a group of high school students to work together can prove difficult. Costing worksheets throw students for a loop and need to be worked on early. In the end, all of the hard work pays off to see the students so proud of what they accomplished. Now in my third year, I am excited to be mentoring two new hospitality management teams. They are in their initial planning stages and I look forward to see what they will come up with! This year, I will be blogging about my teams and their progress (without giving away too many details to our competitors! ), so check back often to see what new things come up! Save money and learn 10 things to cut from your restaurant marketing.